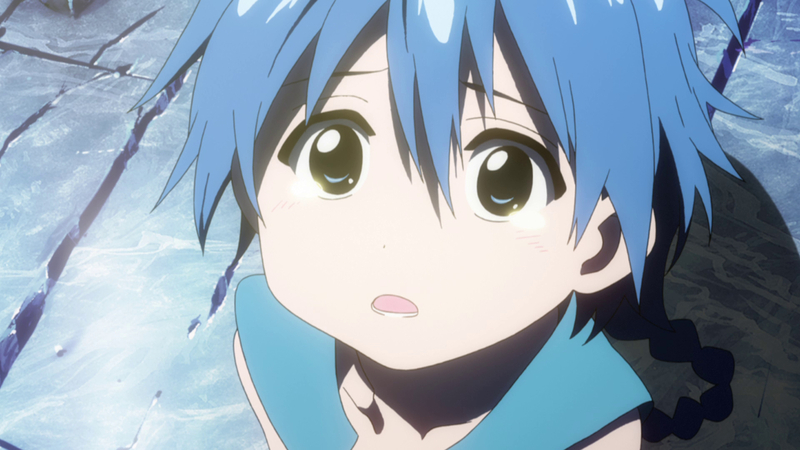 Manga Entertainment UK have announced that they will be hosting a special tweet-a-long for their latest Blu-ray and DVD Release, Magi: Labyrinth of Magic – Season 1 Part 1, a series which we recently reviewed. This will be the first time that a tweet-a-long has been preformed on a series rather than a movie, and as such the tweet-a-long will only involve the first three episodes of the series. 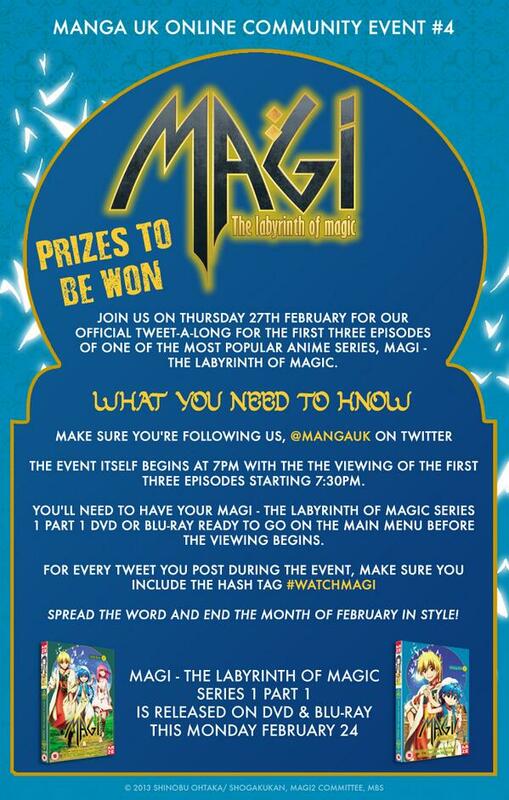 As usual the event will start at 7pm, with the first episode beginning at 7:30pm and for those who take part using the #WATCHMAGI hashtag, as well as follow the @MangaUK twitter account, then prizes will be awarded. It’s not been informed how these prizes will be reward, presumably by giving a mini-review at the end of the event, but all of the details will be explained before the first episode begins. Either way the full details of this tweet-a-long be seen on this special promotional picture.